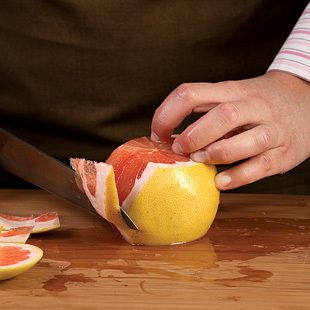 Slice both ends off the fruit. 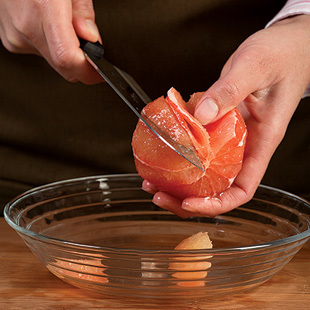 With a sharp knife, remove the peel and white pith; discard. Working over a bowl, cut the segments from their surrounding membranes. Squeeze juice in the bowl before discarding membrane, if desired.